Since its invention, lute song has always been a music for intimate settings, whether at court, private salon or home. Many lute songs lived double lives, published in such a way that they could be sung by a single singer with lute accompaniment, or by up to four singers with or without instruments. These four-part songs were published as tablebooks, so named because the parts were printed facing in multiple directions, allowing singers gathered around the table to read from a single book. In this concert the audience is invited to experience this music as it would have been enjoyed in Dowland’s time: seated around the table, with the intimacy and spontaneity of a gathering of friends making music for pleasure. Every performance of Dowland’s Table is different. 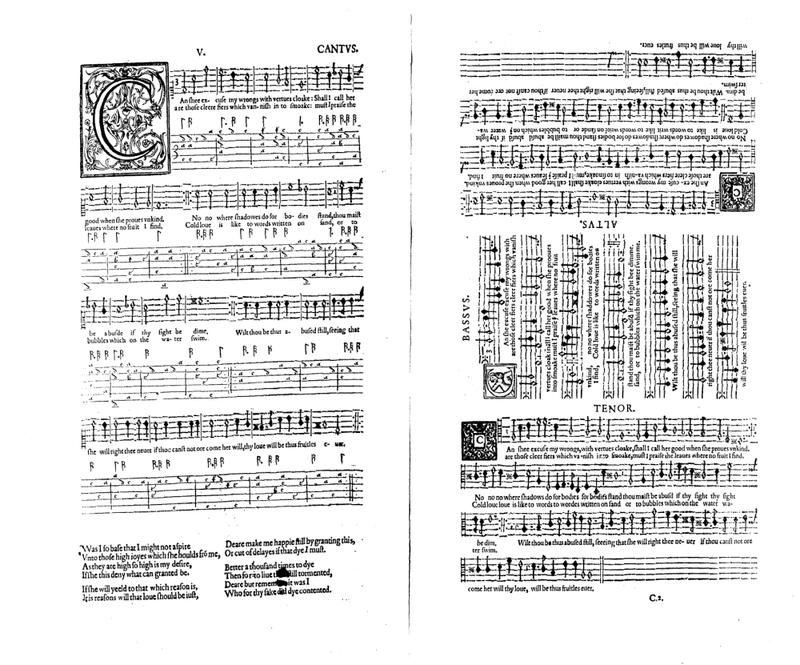 A portion of the music is selected by audience request from Dowland’s First booke of songs, interspersed with the ensemble’s choice of solo songs, duets and larger pieces by Dowland’s contemporaries, according to the atmosphere of the moment and the mood of the spontaneous programme that develops. Throughout the concert the musicians converse with the audience and each other, blending script with improvisation, historical anecdote with personal reflection, setting everyone at ease and subtly bringing the music of the sixteenth century into the present. Solo songs, duets, and instrumental works by Thomas Campion (1580-1648), Alphonso Ferrabosco (1575-1628), and Thomas Ford (1580-1648). Dowland’s Table was designed for a small audience in an intimate space. It works best with an audience of 20 or fewer, and is ideal for exclusive events for special guests and patrons, for showcasing an historic building, or for a late night festival concert. Read more about how this programme developed, and hear a recording on the Projects page.